My sweet friend Dana and I have started a tradition of our own. Most Mondays she and I meet for lunch to catch up with each other's lives and enjoy a great meal. This trip we decided to meet on the other side of my mountain, Santa Paula, and partake in a little bit of Southern fare. I am not sure if this Arugula Salad with apples, candied walnuts, blue cheese and creamy balsamic considers itself "Southern" but it was a lovely way to kick off our meal. I cannot resist an arugula salad. I opted for a cup of Seafood Chowder to finish my meal and it was nice. 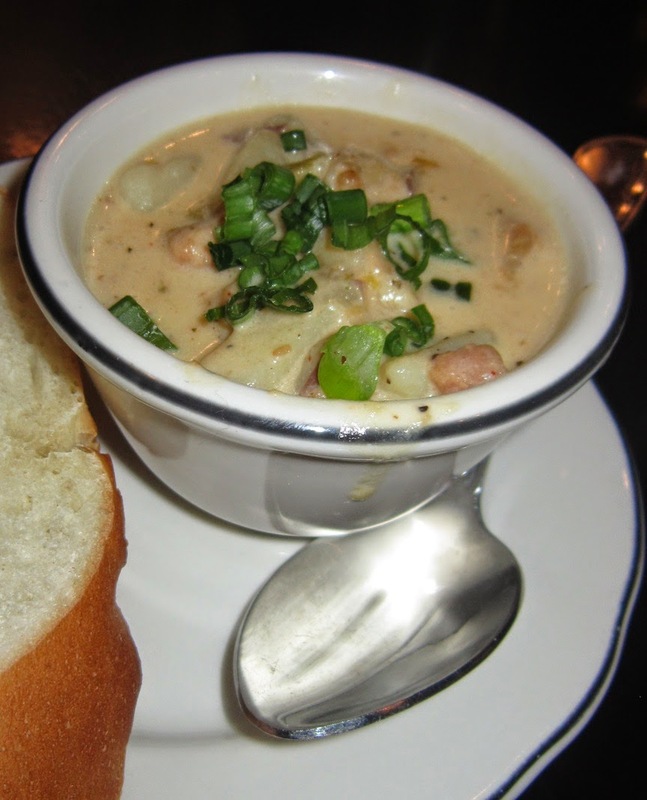 It was not the best ever and contained a lot of potato vs. seafood but it still made for a nice creamy treat. I may or may not have dunked my bread too. 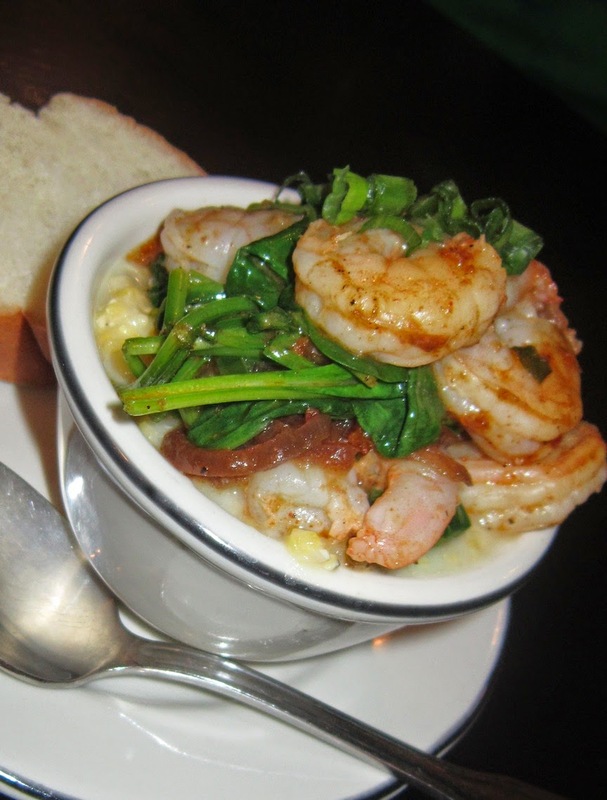 Dana ordered Shrimp and Grits for her closer and she seemed to like it just fine. There were plenty of grit to shrimp ration so ordering a cup will fill a little gal up! The meal was very affordable if you are looking for a meal other than Mexican food while in Santa Paula. There is one literally on every block so if you are feeling for something different Rabalais is your place.